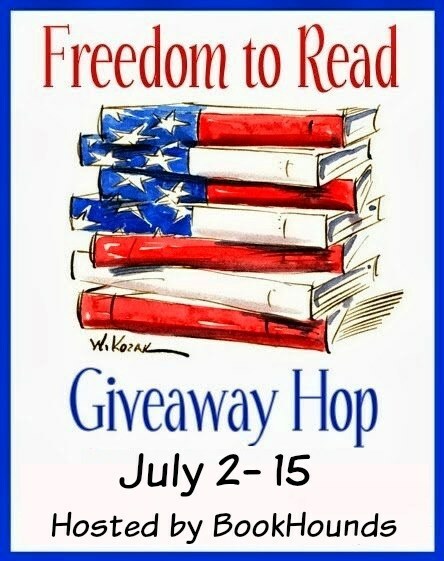 #Giveaway Freedom to Read #win a box of books! 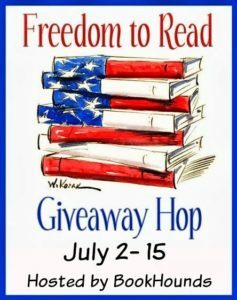 Giveaway Ends 7.15.17 and open to all who can legally enter. I’ll be working and hating the drunk people in my apartment complex setting off fireworks. I’m helping set up our neighborhood party then helping out serving food as needed. Staying out of the heat and reading. We’re planning to visit friends at the campground. No plans…I will watch fireworks on TV as usual. My plans are Burgers, Beach, and Fire Works! Relax around the house and read a (couple) of good books. Some of the Family will be here to Bar-b-que. We will watch fireworks after. Staying home this year. Grilling out and enjoying some quiet time. We’re going to see the local fireworks and have some barbecue! Just grilling and my brother and sister-in-law are coming over for dinner. Not really, just a BBQ and fireworks along with the neighborhood kids who let off fireworks all night long. BBQ and hearing all the nonstop illegal fireworks in our neigborhood. Maybe read if I can hear myself think. No plans just hang out with my family and friends. Thank you so much for the great giveaway. Hanging by the pool reading. Spent time with family over the weekend, so no plans. We’re all gathering for dinner at my sister’s house as on most holidays. Plan on enjoying the fireworks this year. I have to work this year. After that, I hope to watch some fireworks. No plans for Fourth of July. Just staying home and reading. Going to catch up on reading since everyone has been here since Friday but leaving Tuesday morn. We are having a cookout at our grandkids house. My plans for the 4th is to spend time with my family and friends, and we will also be attending a parade in our neighborhood. Thank you for this chance! I plan on watching fireworks in my neighborhood! It’s really cool because they put music behind it! Will grill and shoot fireworks with the family!! I have a dog who’s terrified of fireworks, so I stayed home with her. We drove out a few blocks from where the fireworks were set off and caught some of them over the tops of trees. My toddler would not have been okay with being any closer because of the loud booms! we had a ministaycation over the 4th holiday. Just stayed around the house and relaxed, and didn’t spend any money! I Stayed home with the family. We grilled out with faimly, then we all walked to the lake to watch the fireworks. Then we had a fire and sparklers. We had a cookout with the family! Neighborhood parade, pool and ice cream. Sat around the house playing a video game and grumbling about the firework-noise. 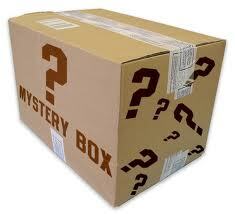 I stayed home and went through boxes of my Mom;s things to determine what to keep and what to give away. My mom passed away earlier this year. I just spent time with Family. Since Fireworks scare my puppy, I stayed in and cuddled my dog while reading a book. Mom is having indoor picnic and malted milk cake. Watched from my balcony the fireworks the city sets off. We sat on our porch and watched local fire works. Stayed home, made a quick bbq dinner and watched fireworks. We had a BBQ with friends and watched the fireworks from the top of their hill. I had a cookout on the 4th.